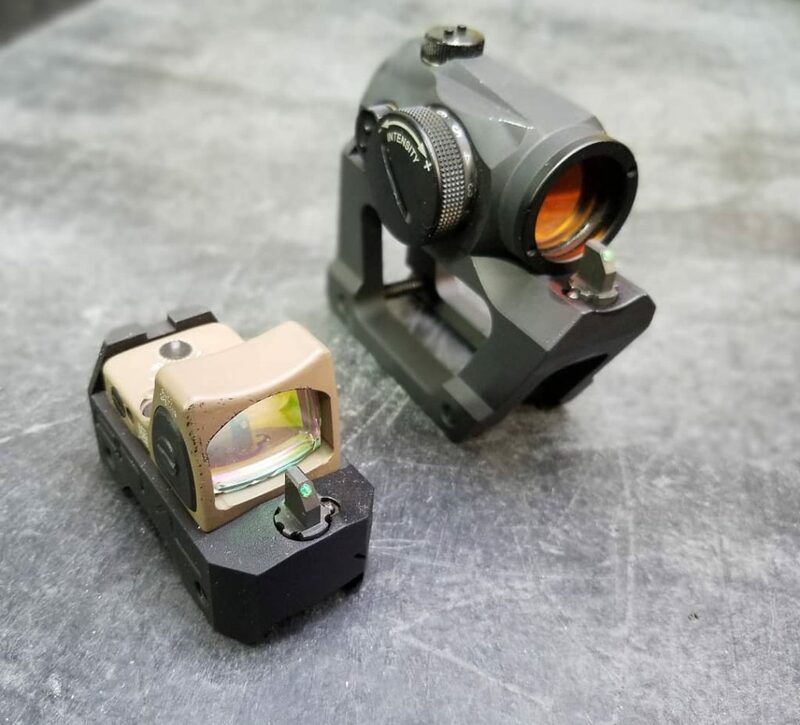 New company ANVL Products has been showing their new UKON mounts for Micro Aimpoints (and similar sights) and the Trijicon RMR leading up to and during SHOT Show. The UKON mounts come in two heights. The UKON 1 is their low offering and the UKON 2 is high enough to clear lights and lasers. These mounts feature integrated back up iron sights. The rear notch sight is machined into the mount itself and the front is a standard AR-15 style adjustable front sight. The mounts are serrated on the rear face and heavily skeletonized to reduce their weight. The UKON 1 and 2 are already available for the RMR. The Aimpoint Micro version will be available soon.